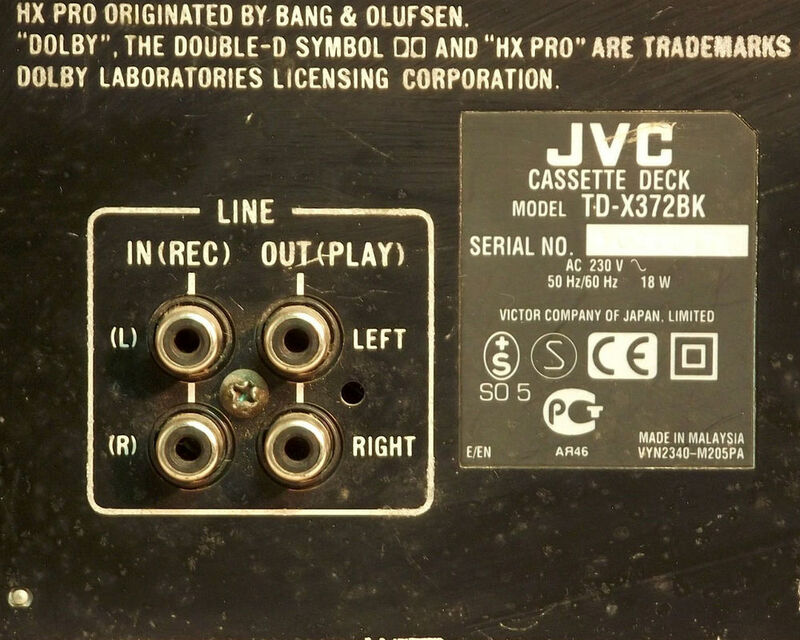 ​This is an auto-reverse deck with manual recording level settings and various controls situated behind the flip down front panel. 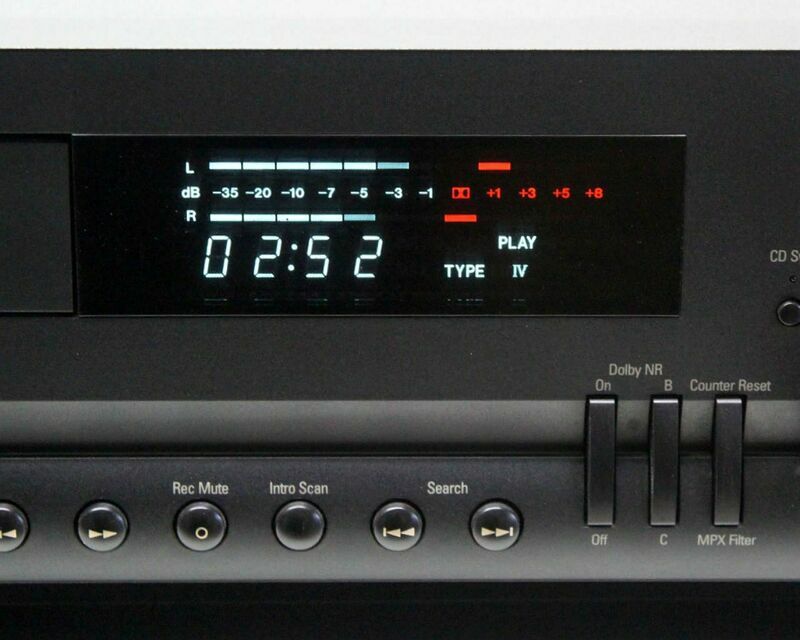 For hiss free recording the GRUNDIG CF 11 features DOLBY B-C noise reduction with HX Pro headroom extension. 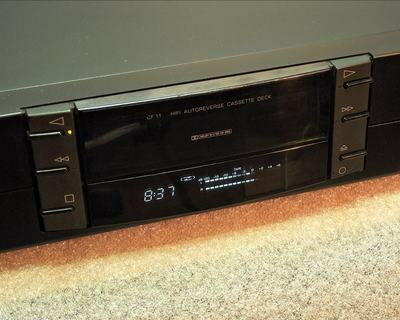 The deck can be remote controlled even with a PHILIPS audio remote control. 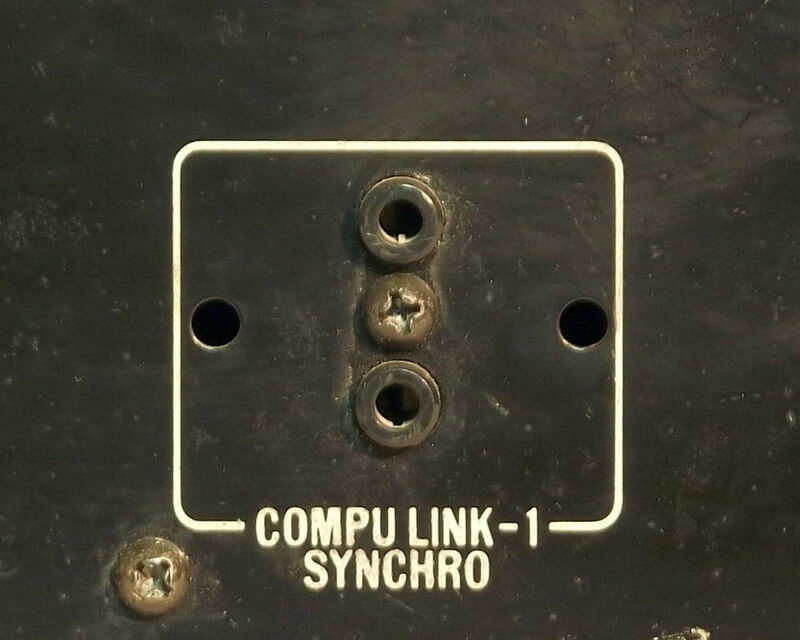 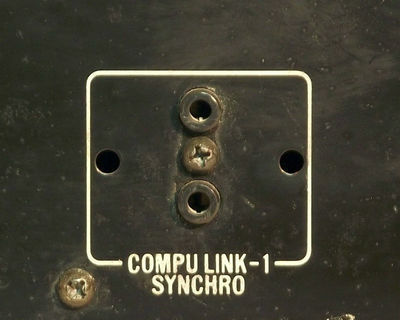 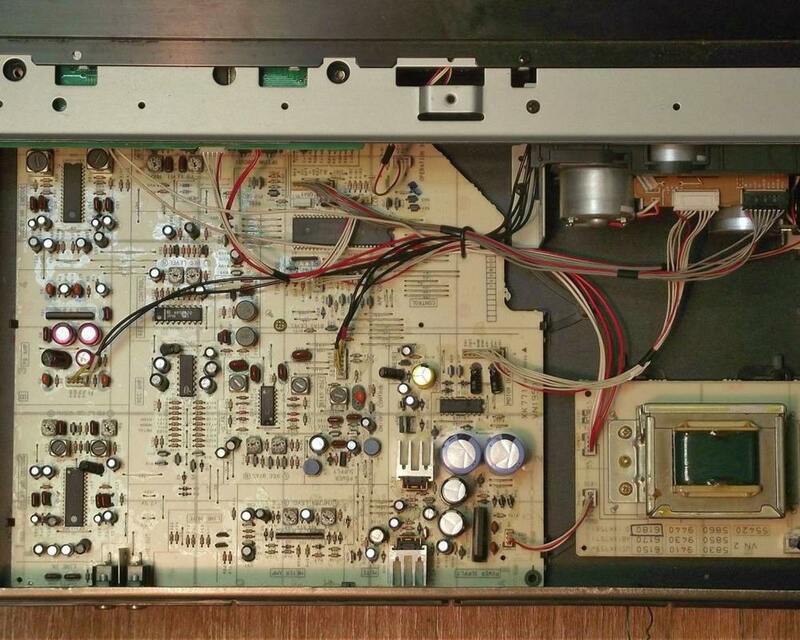 (In system or individually) Read more about the matching amplifier on this page. 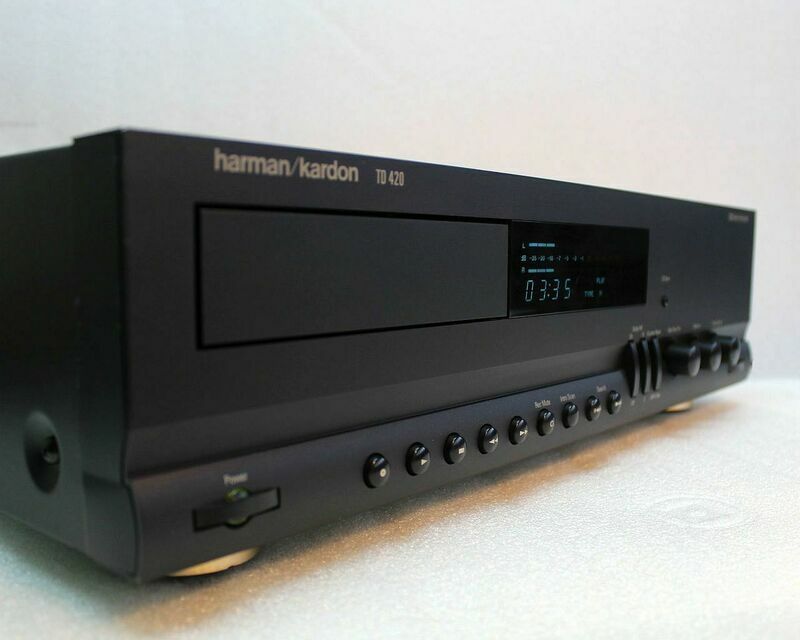 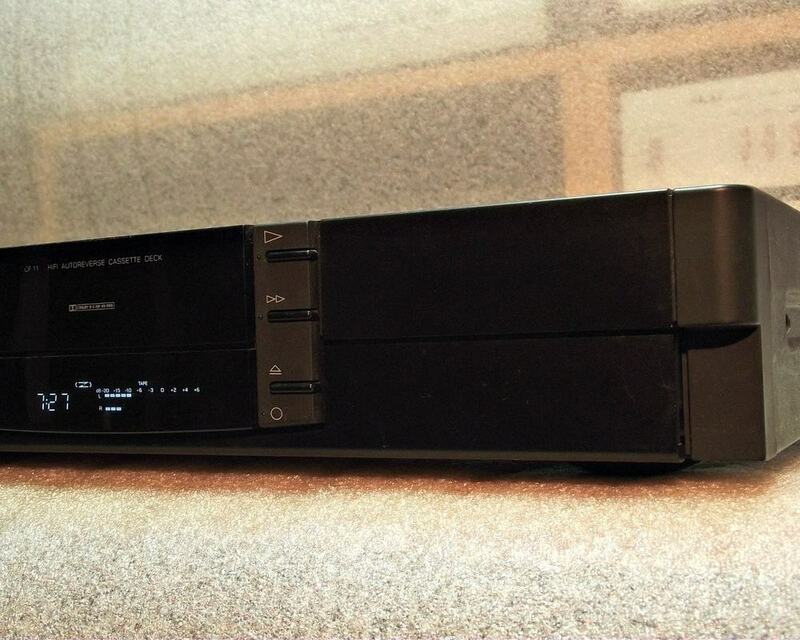 The harman/kardon TD420 was introduced in 1996 as a "CD Transcription Quality" cassette deck. According to the manufacturer, the TD420 has been engineered for wide, flat frequency respnse, low noise, and low distortion, so as to produce high fidelity recordings from compact discs and other high-quality sound sources. 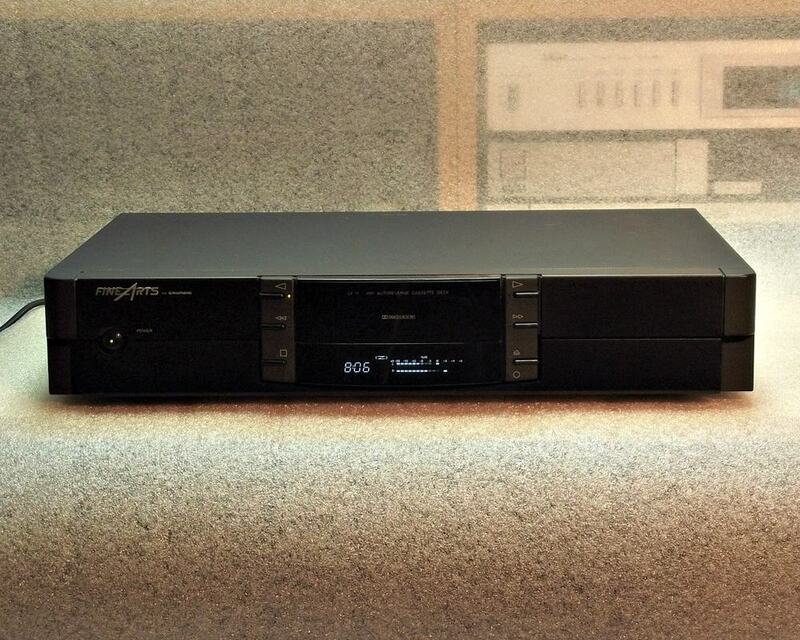 Another highlight of this product is the pure discrete playback amplifier. 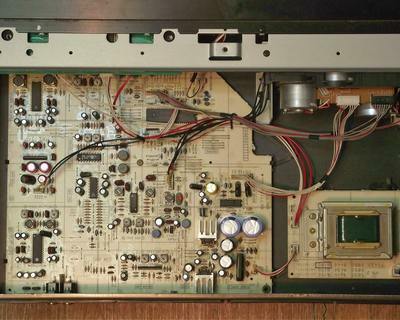 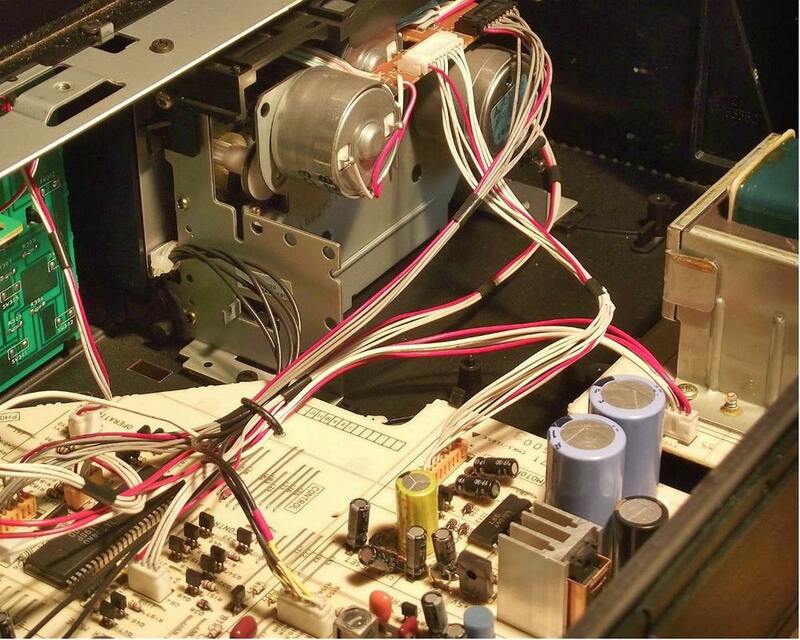 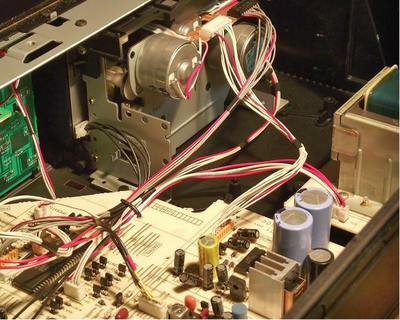 Instead of using off-the-shelf integrated circuits, harman/kardon designed and built a playback circuitry using discrete electronic components. 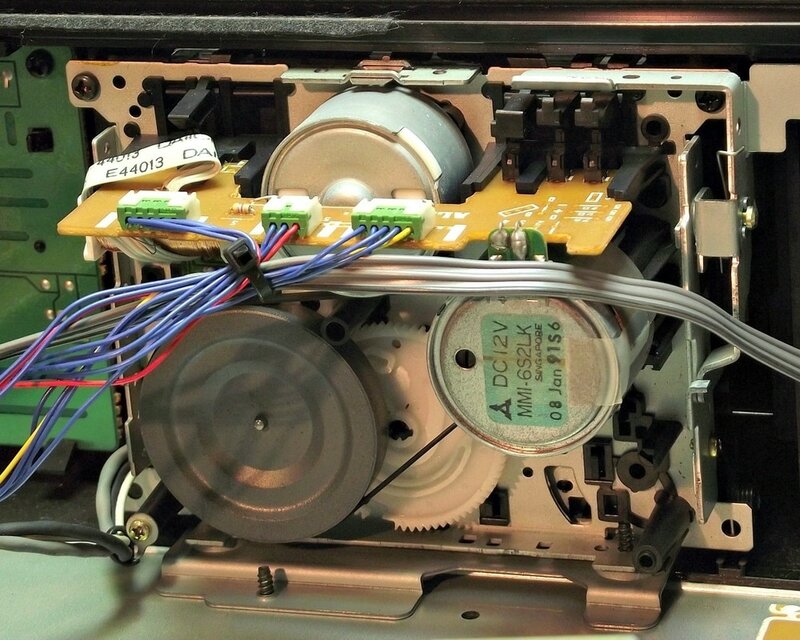 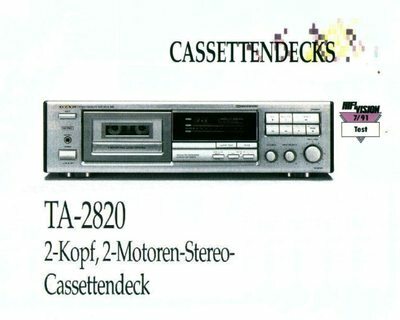 The TD420 is using a high grade 2+1 motor mechanism mounted horizontally inside the deck while the classic tape door has been replaced with a drawer type cassette holder. 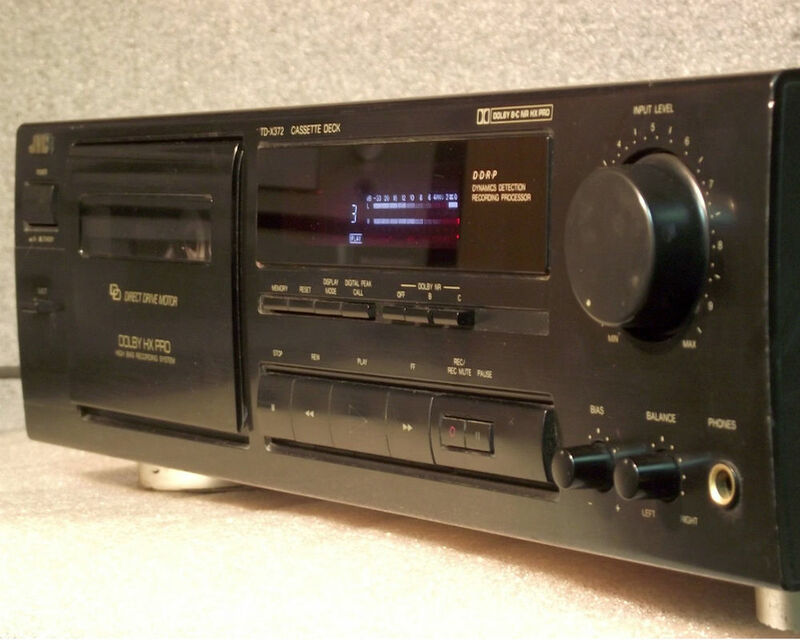 There's a small plastic cover on the top from where you can acces relatively easy the head and pinch roller for cleaning but for this, the deck has to be placed on the top of your Hi-Fi stack. 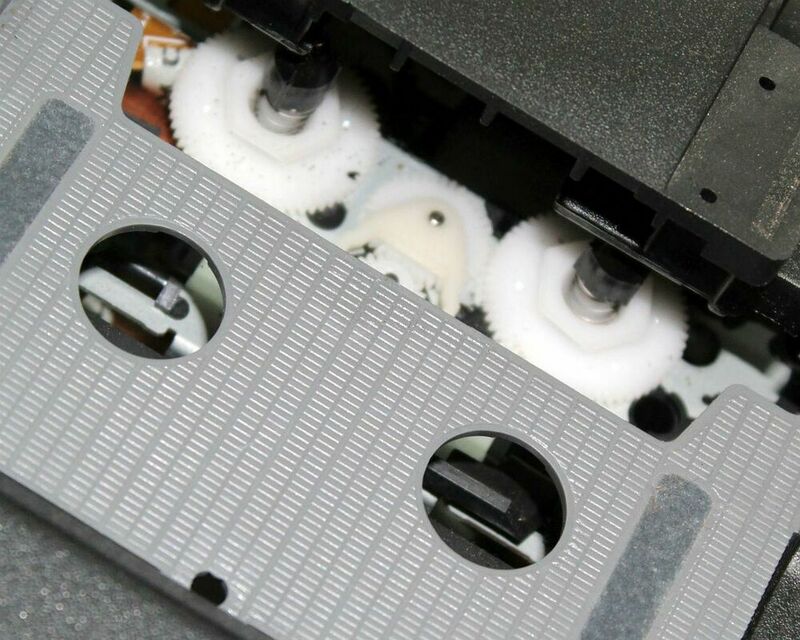 The mechanism is indeed well built with gear drive fast winding mechanism, built for longevity. 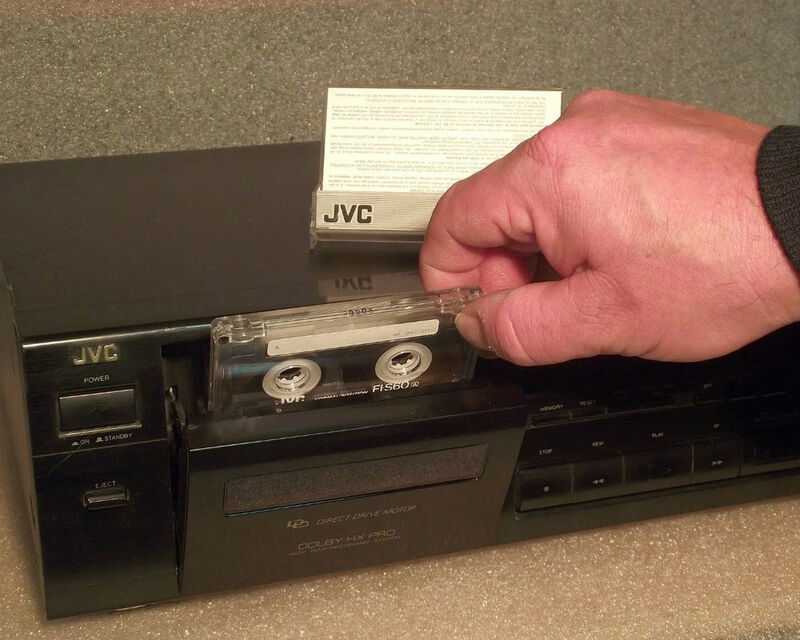 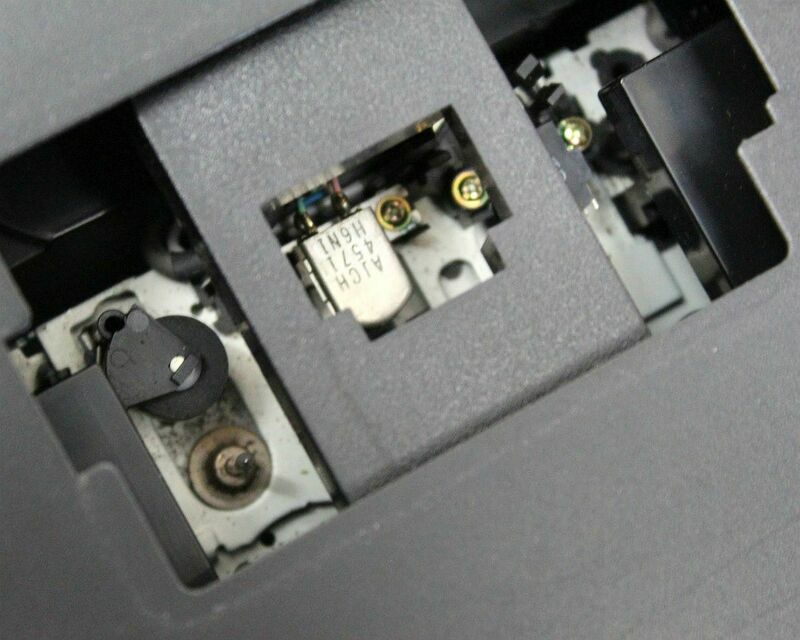 After the drawer closes a cassette stabilizer will hold the cassette in place and absorb vibration. 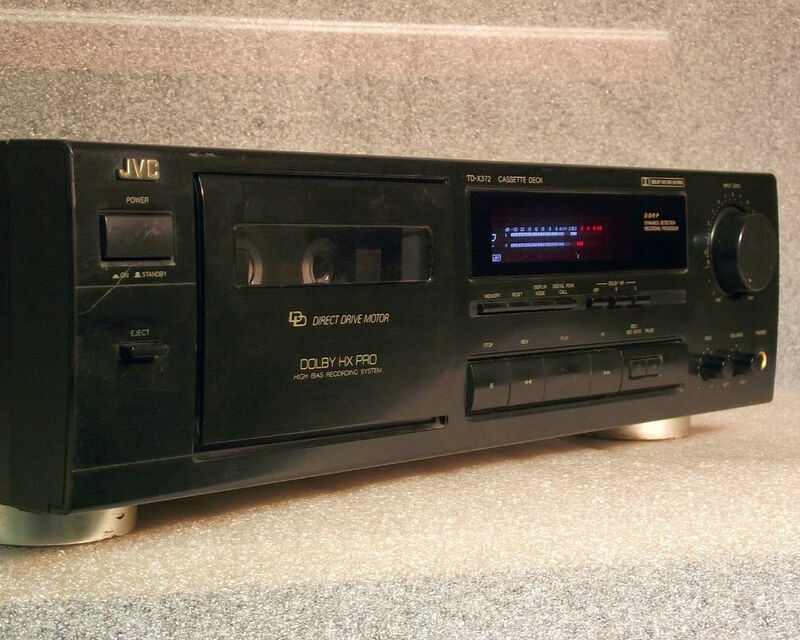 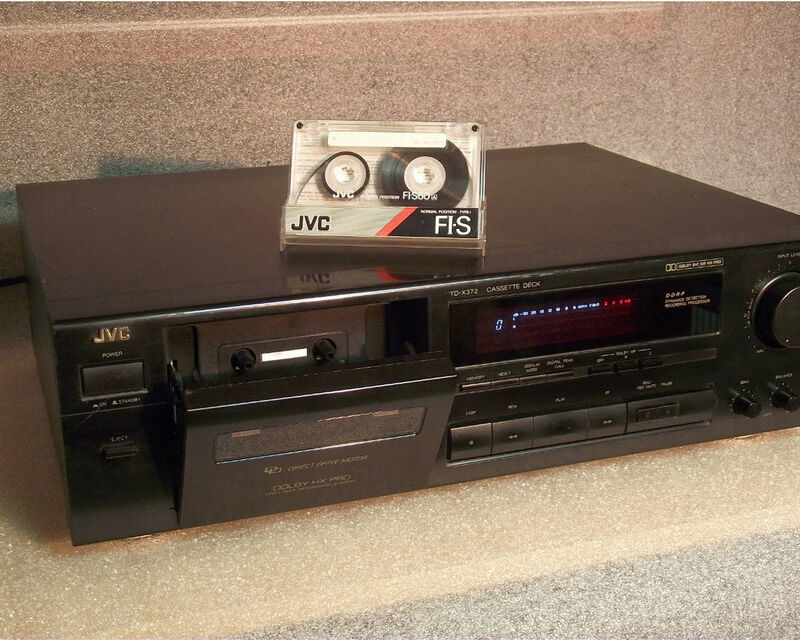 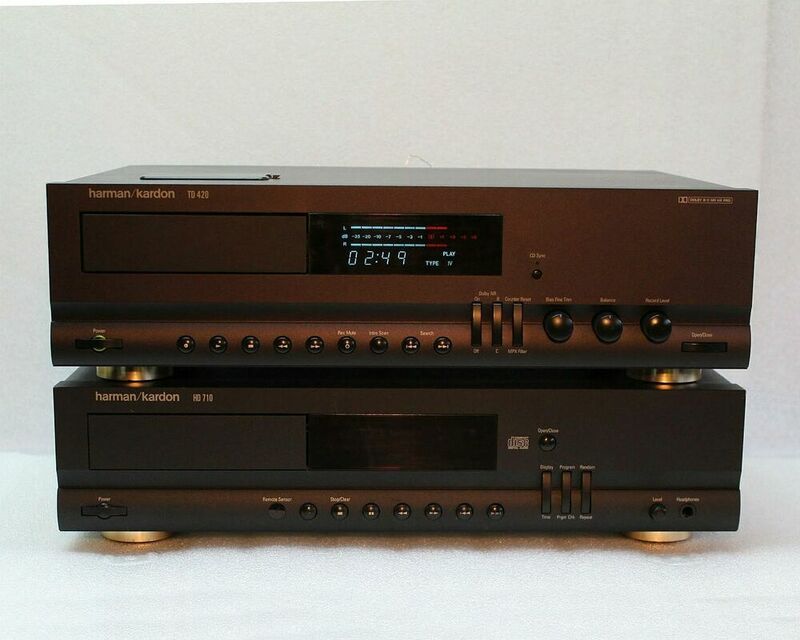 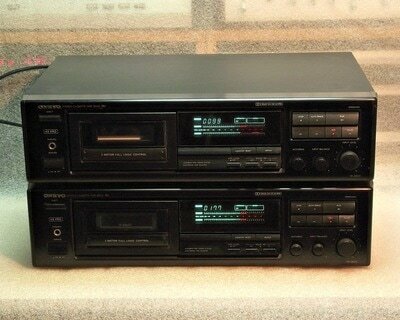 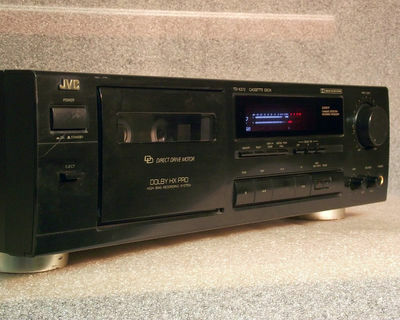 The JVC TD-X372(BK) was introduced with the 1994 line-up of stereo cassette deck recorders. 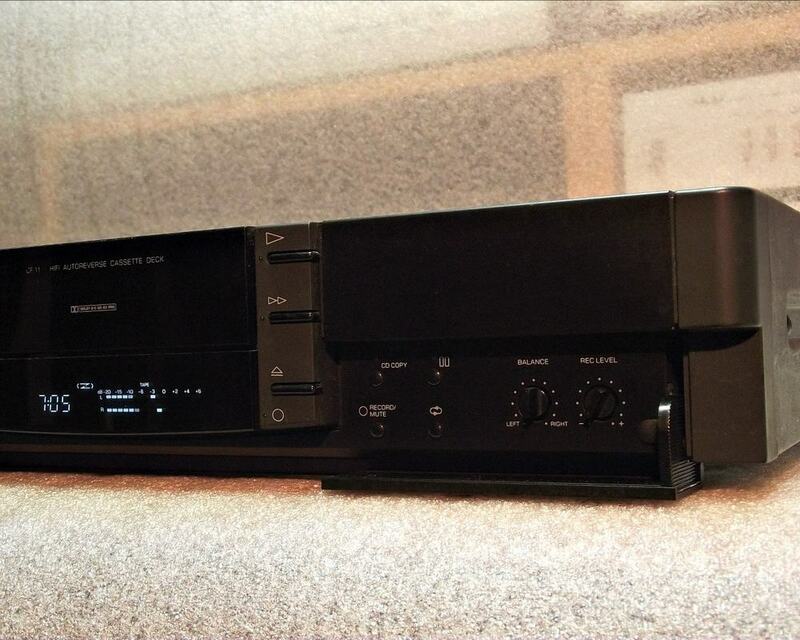 This was the entry level model, however is much better built and specified as previous entry level models. 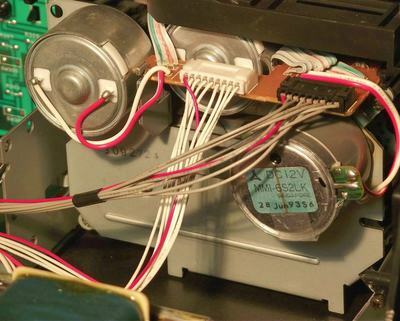 It uses a 3 motor full logic controlled mechanism with Pulse Servo Direct Drive capstan motor, 1 DC motor for gear driven reel drive and 1 DC motor for the "Silent Mechanism". 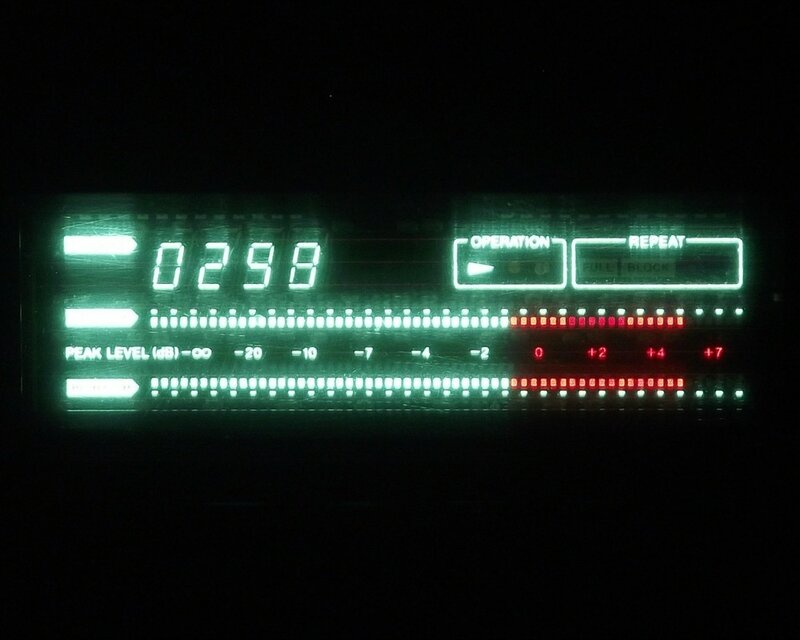 The first one is the usual one where the user manually adjusts the recording level, balance and bias while following the correct level on the 2-color fluorescent peak level indicator. 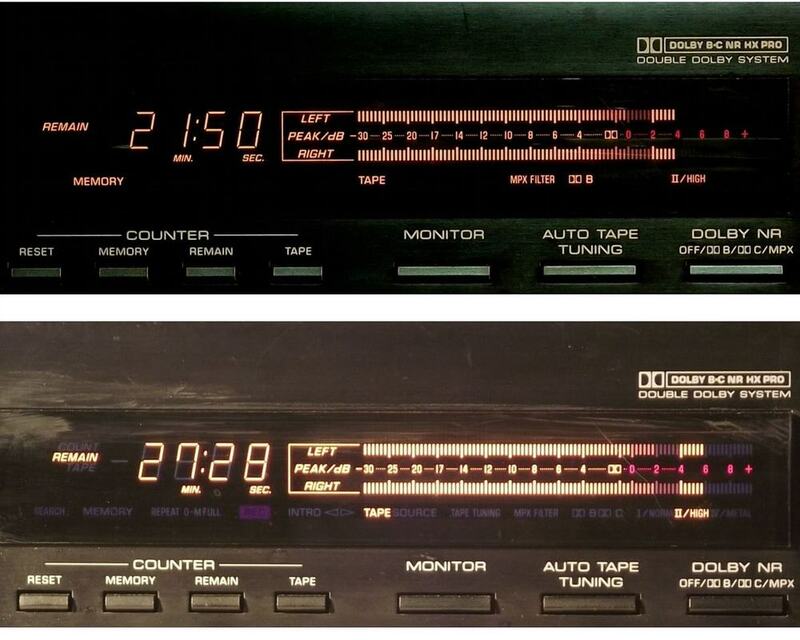 Tape types are automatically selected and a small dot will indicate the maximum recommended level, while the tape counter can be switched into a digital peak level indicator (a helpful feature to easily follow peak recording values). 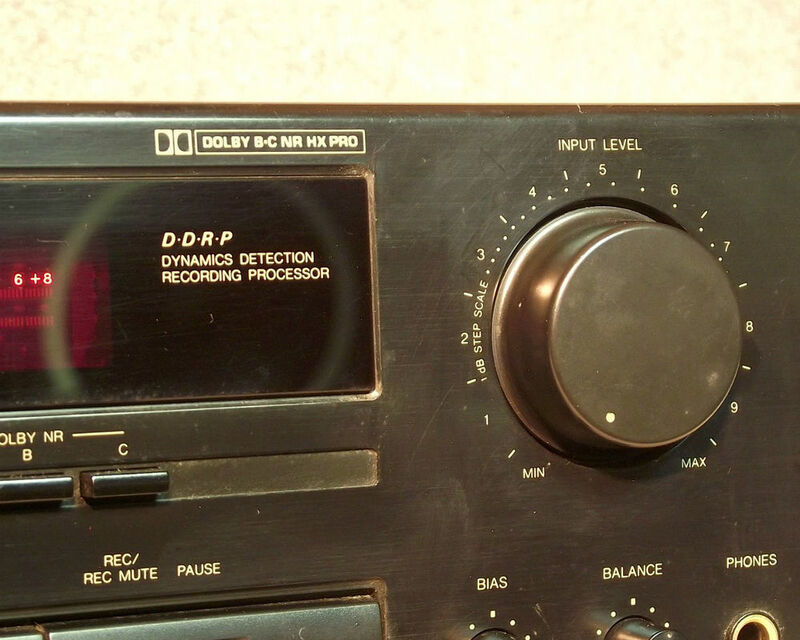 The fluorescent level indicator has markings for 0 dB (IEC standard level 250 nWb/m), 0 VU (EIAJ standard level 160 nWb/m) and Dolby NR standard level while the manual recording level control (input level) has a very nice 1dB step scale printed for reference. 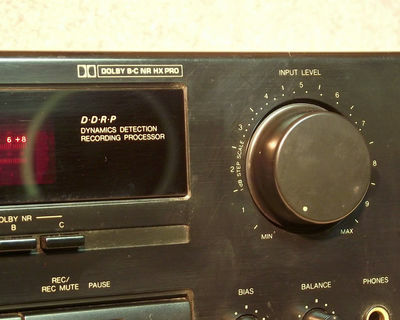 Recordings can be made using Dolby B or C noise reduction circuit or without the use of it. 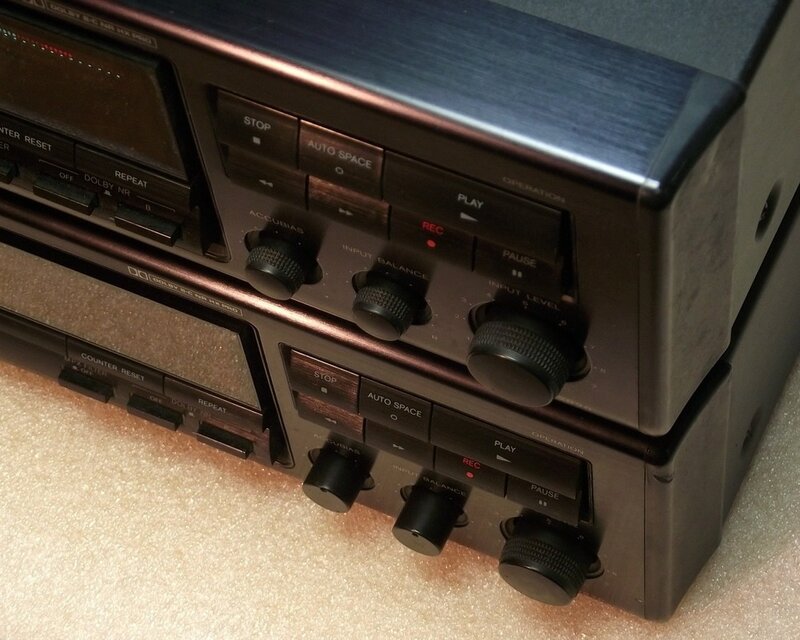 A final note: the tape counter functions as a linear tape counter. The running time is displayed in minutes and seconds while it's accuracy will vary depending on the lenght of the tape and the hub diameter. 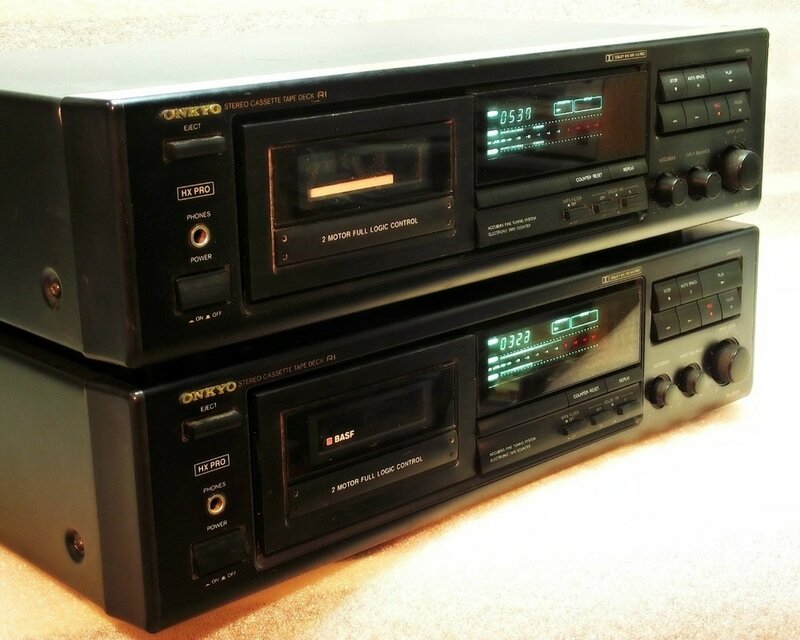 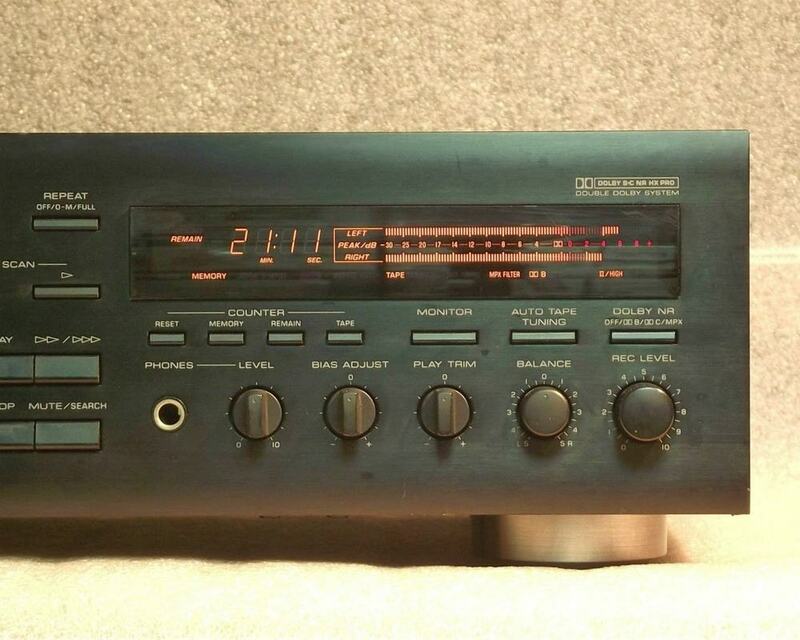 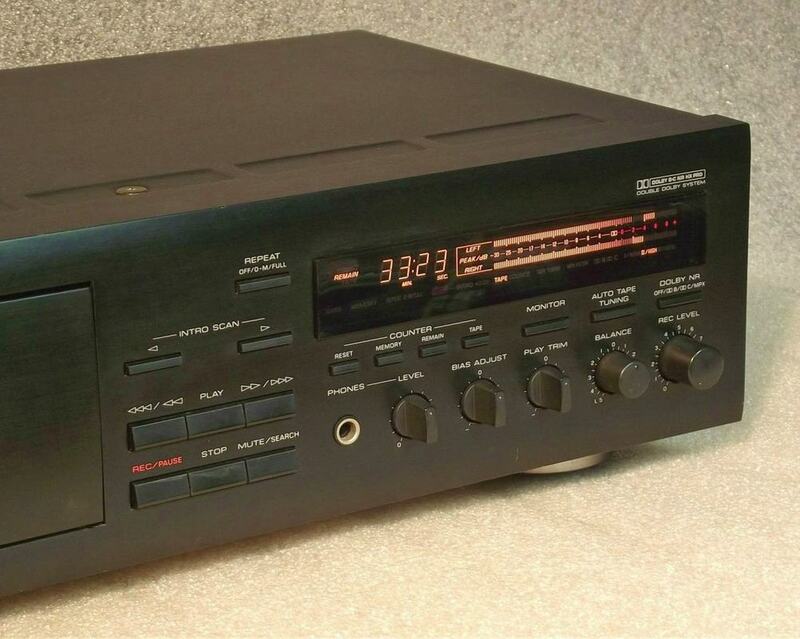 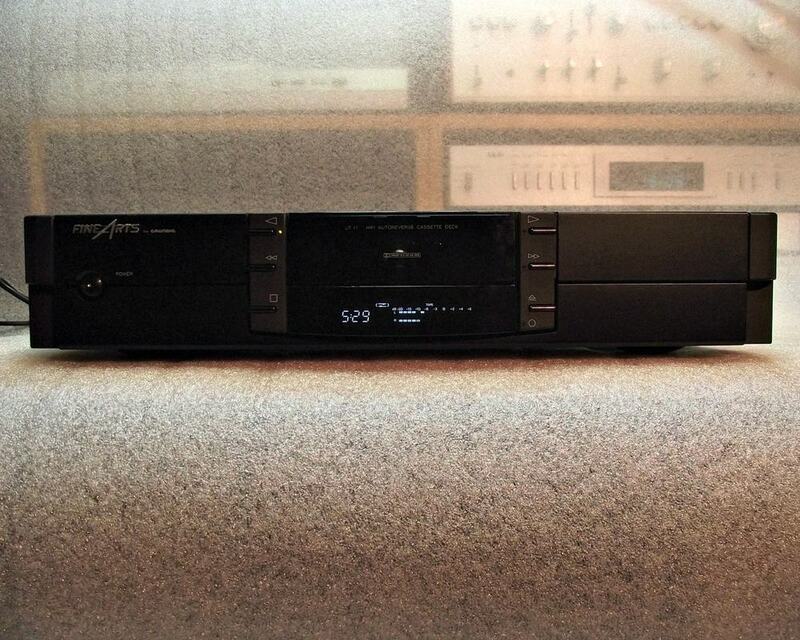 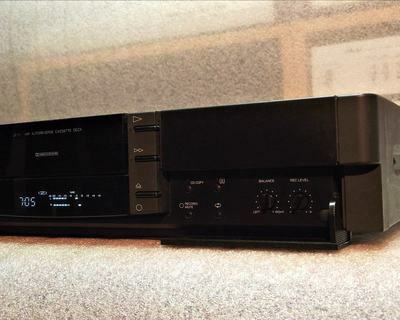 The ONKYO TA-2820 was the entry level model in the ONKYO lineup from 1991. Just because it was an entry level model it doesn't mean it's a basic model, it has the features and specifications equivalent of a better model from other manufacturers lineup. 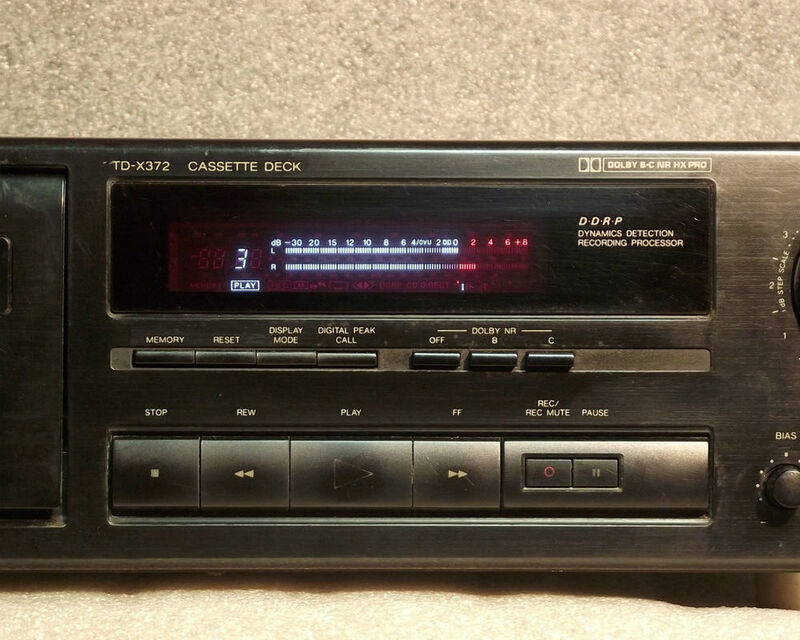 The deck is built around a solid 2 motor microprocessor controlled tape transport mechanism with a specified 20-19000 Hz frequency response using Metal tapes. 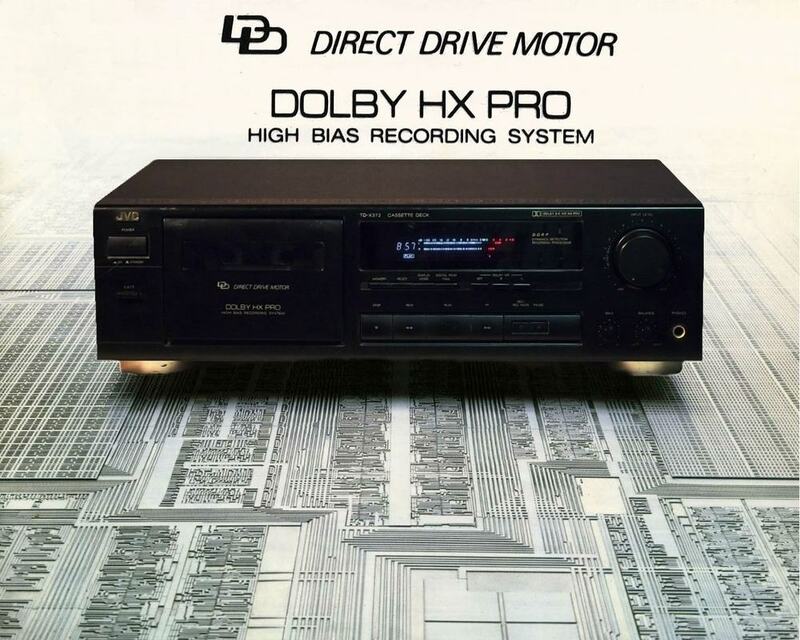 Other features include Dolby B/C noise reduction with HX-Pro headroom extension, manual ACCUBIAS for optimal performance regardless of the cassette you use and remote control capability when used with a remote controlled ONKYO amplifier or receiver. Tape types are automatically selected while tape operation is displayed on a nice and large fluorescent multifunction display. This model was available with black or silver front panel. In the pictures you can see two black panel models from our collection. 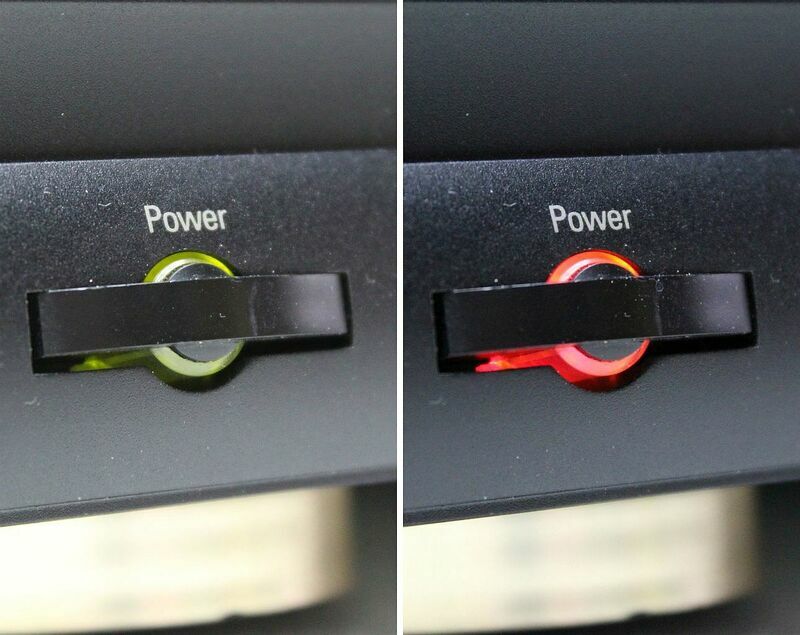 Front panel is aluminium but the knobs are plastic and we had to manufacture two plastic replacement knobs for one of the units (the smooth surface bias and balance knobs) Both units perform very well and we are extremely pleased with the results. 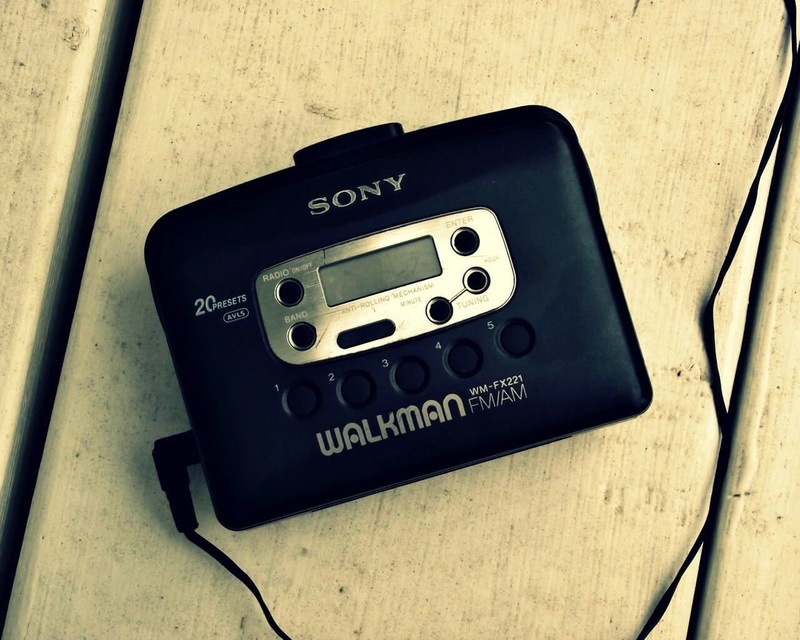 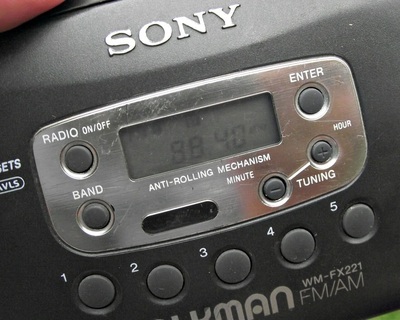 The SONY WM-FX221 was introduced in 1995 and was the smallest member of the radio-cassette WALKMAN line-up. 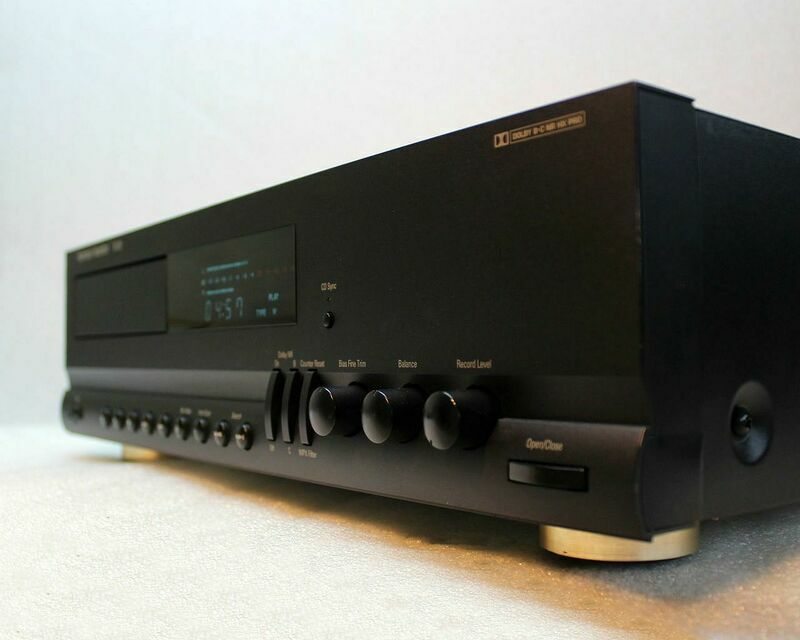 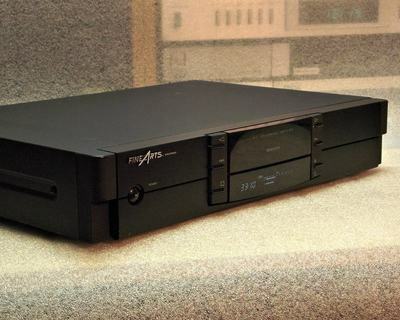 Other models of the series were the SONY WM-FX421/FX423/FX425. 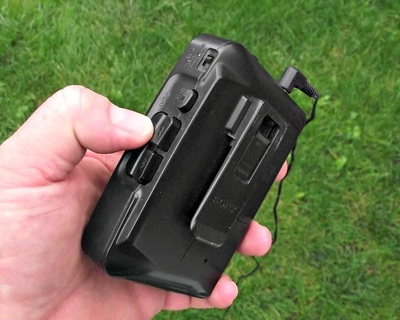 The unit can be operated either with two AA batteries or with an external power source through the DC IN 3 V jack located on the right side of the unit. 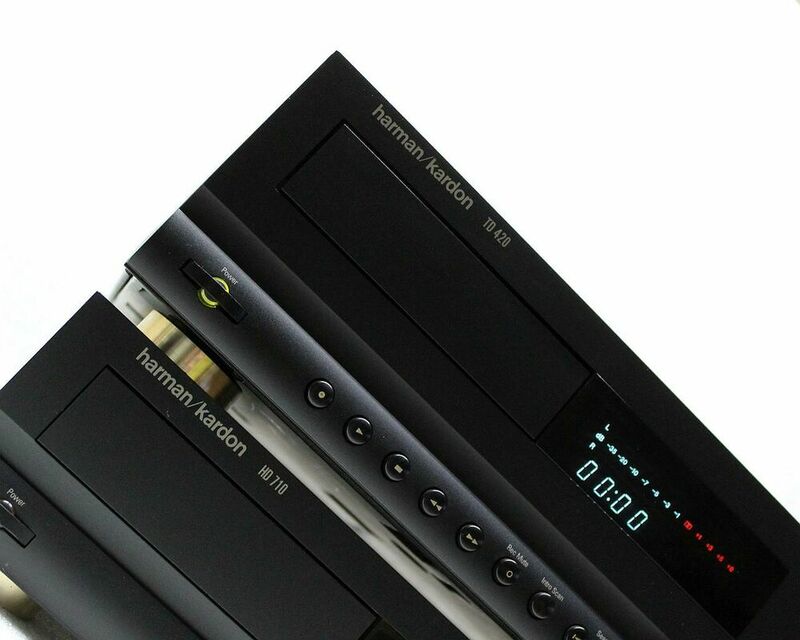 It allows playback of Normal/CrO2/Metal tapes with or without Dolby B noise reduction. Alternatively you can listen to FM or AM radio broadcasts using the built in radio receiver. 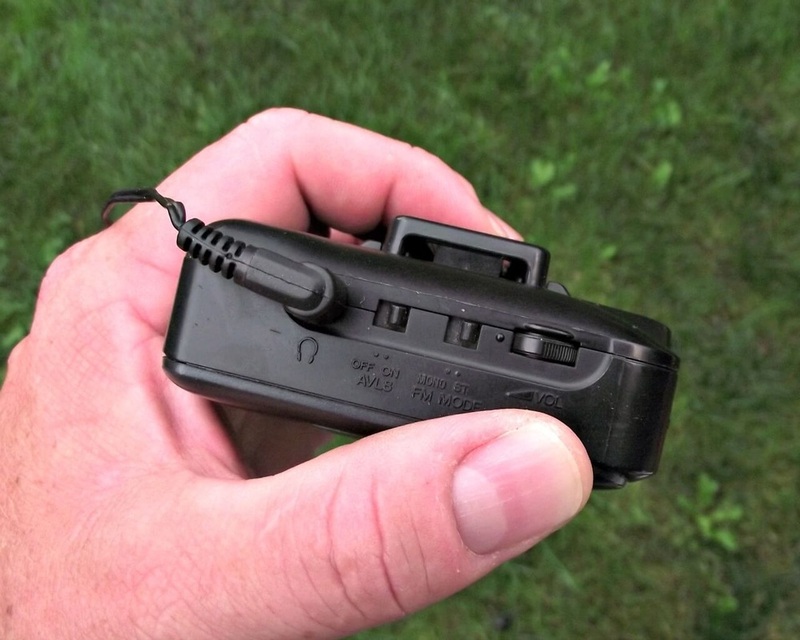 No external antenna is required for radio reception as the headphone cable doubles as antenna for radio signal. 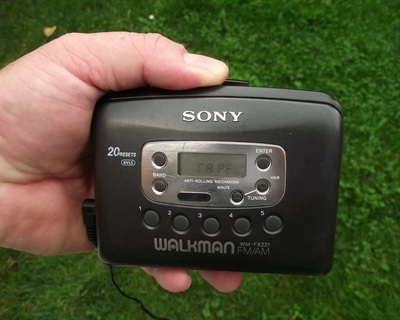 The unit has also a built in clock and with the supplied belt clip, you can wear your WALKMAN on a belt for convenient use. 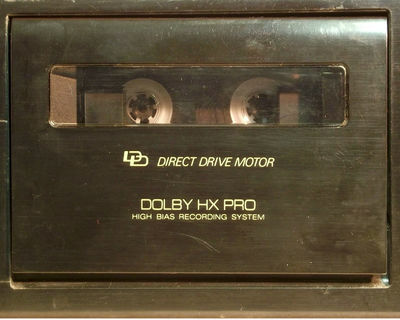 The Last of the Mohicans. 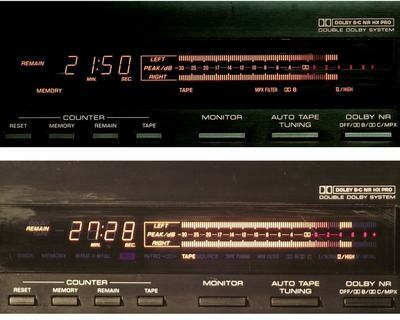 In 1993 cassette deck as a recording medium was in sharp decline. 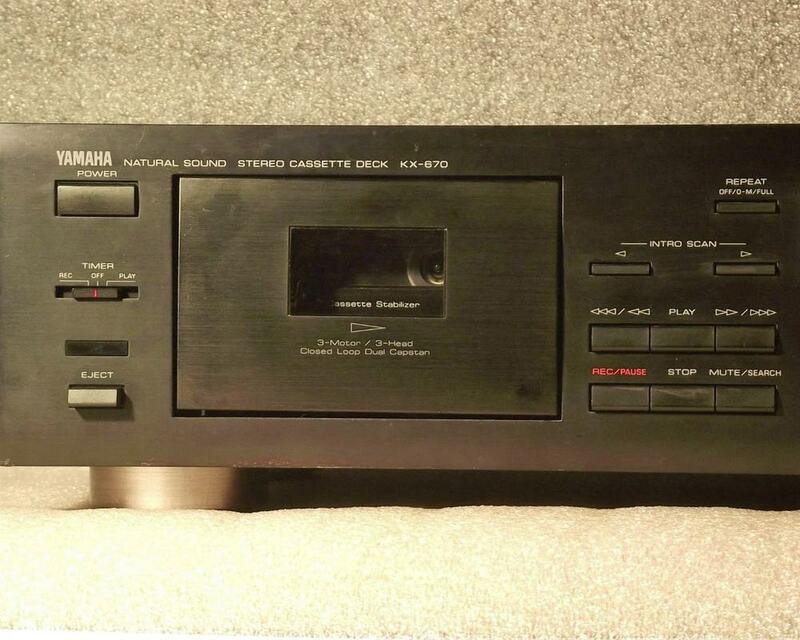 In it's last effort YAMAHA launched their last top of the line model. 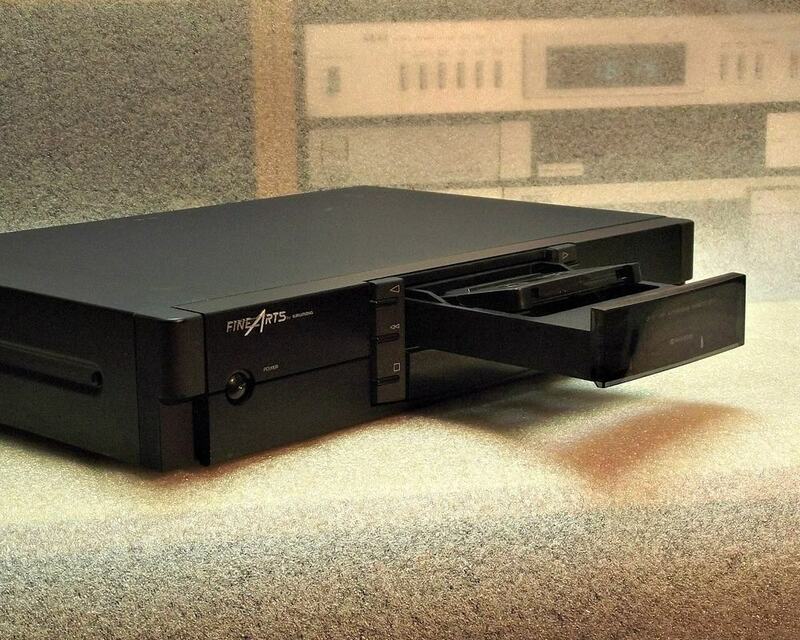 (OK, there was one more in 1996, the KX-690 but that was more a cosmetic change and added Dolby S noise reduction) It was built as an ultimate deck with all the features you could imagine for a serious cassette recorder. 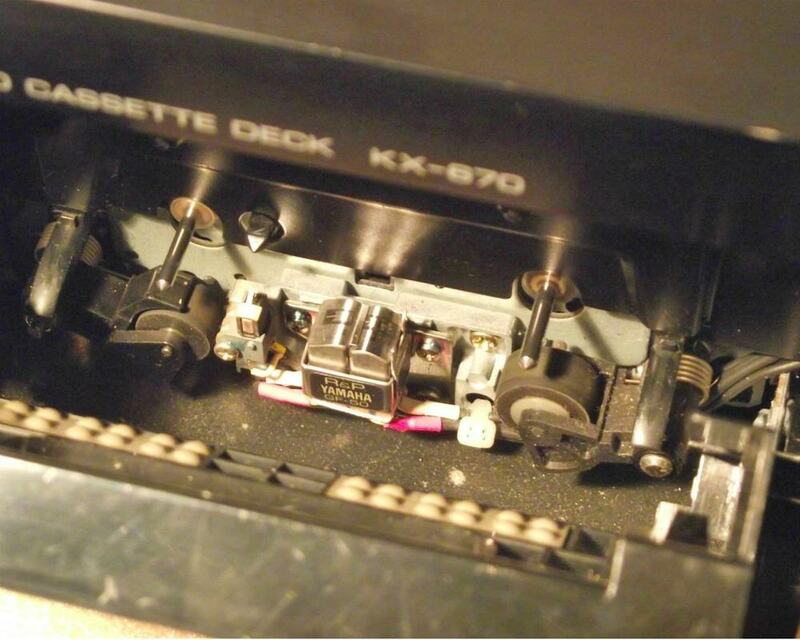 The heart of the deck is a 3 motor Dual Capstan drive mechanism with YAMAHA GF-50 permalloy heads in a 3 head configuration. 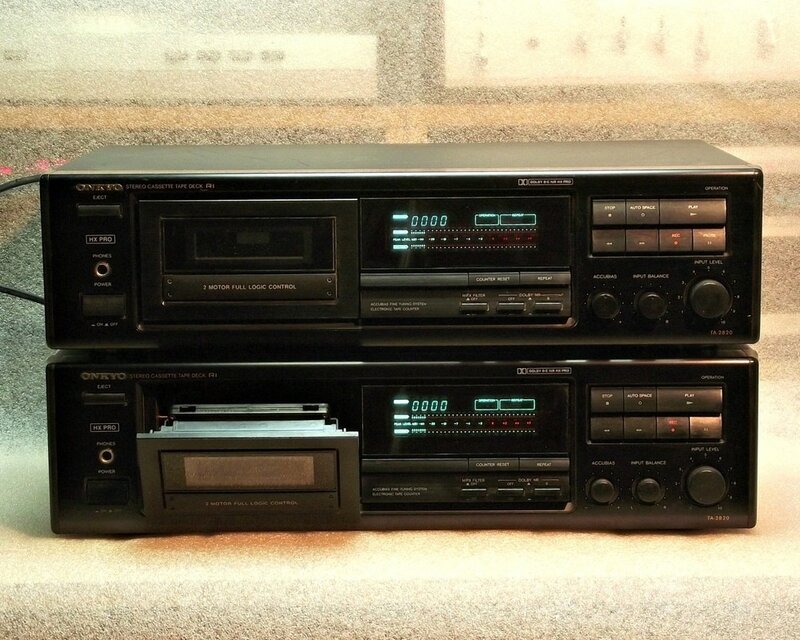 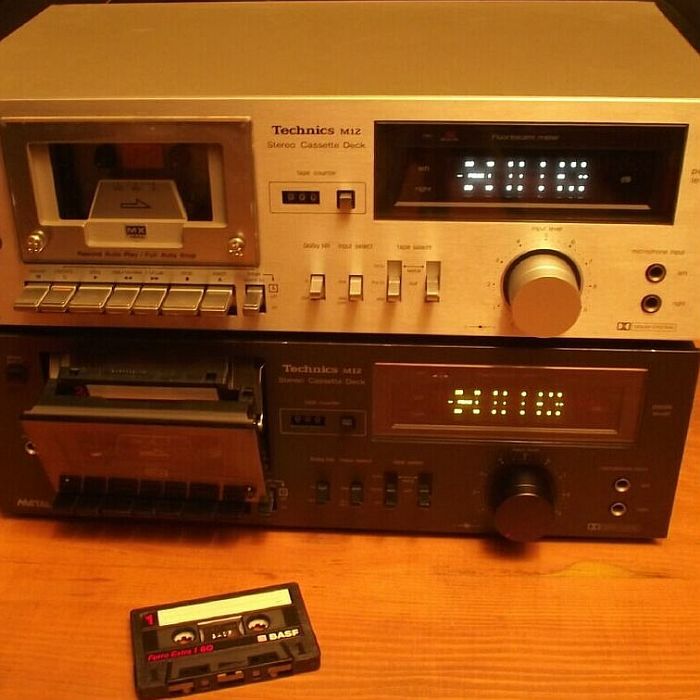 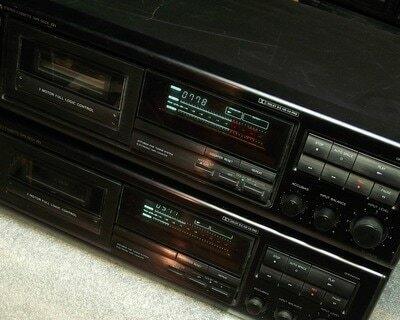 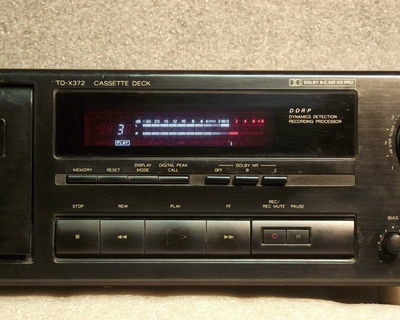 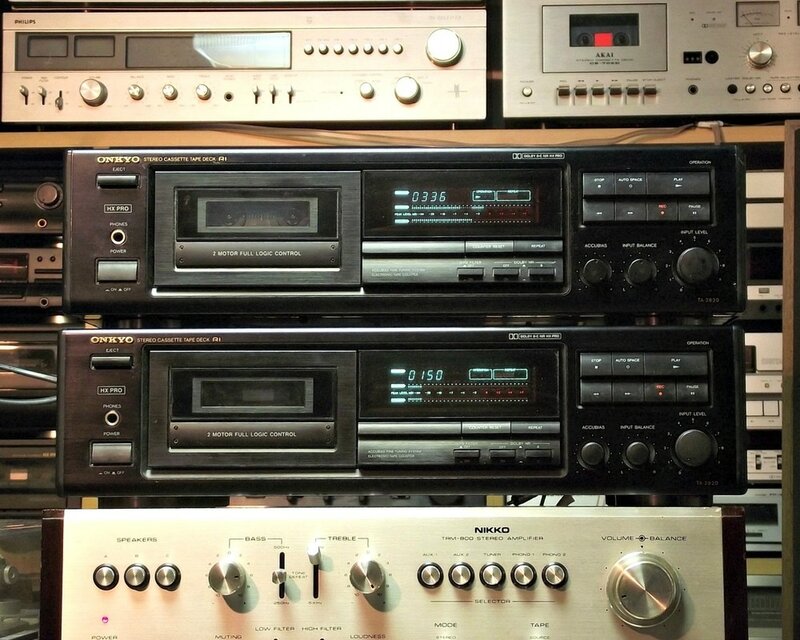 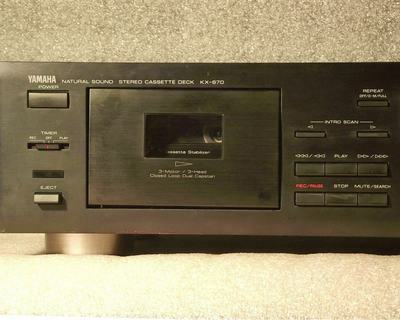 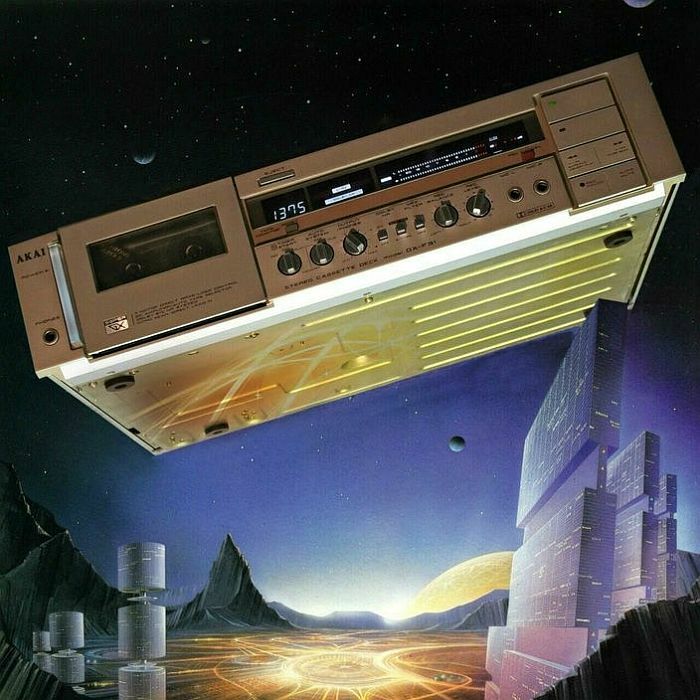 For an improved playback experience the YAMAHA KX-670 includes special features such as two speed fast winding, cassette stabilizer, linear (remain) time counter based on preselected cassette lenght, track search, various memory stop/repeat functions and most importantly a play trim control. 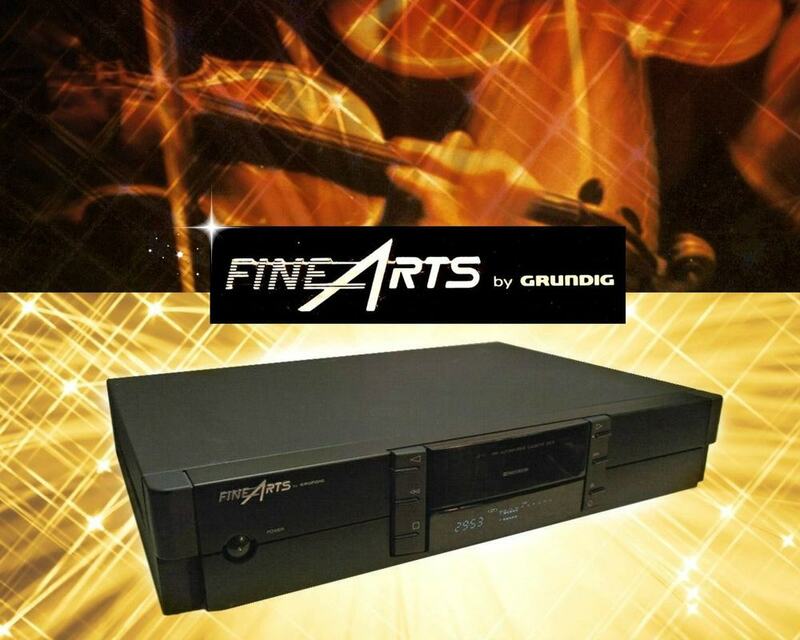 With the help of Play Trim control adjustment you can boost high frequencies if they are absent or you can attenuate high frequencies when distortion is noticable. 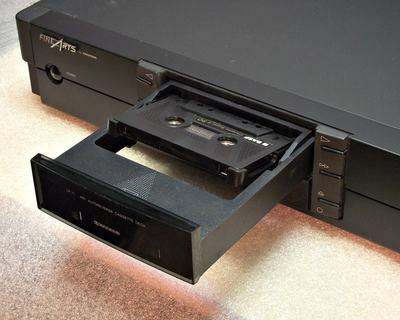 This is an extremely helpful feature for playback of cassettes recorded with other recorders that used Dolby noise reduction. 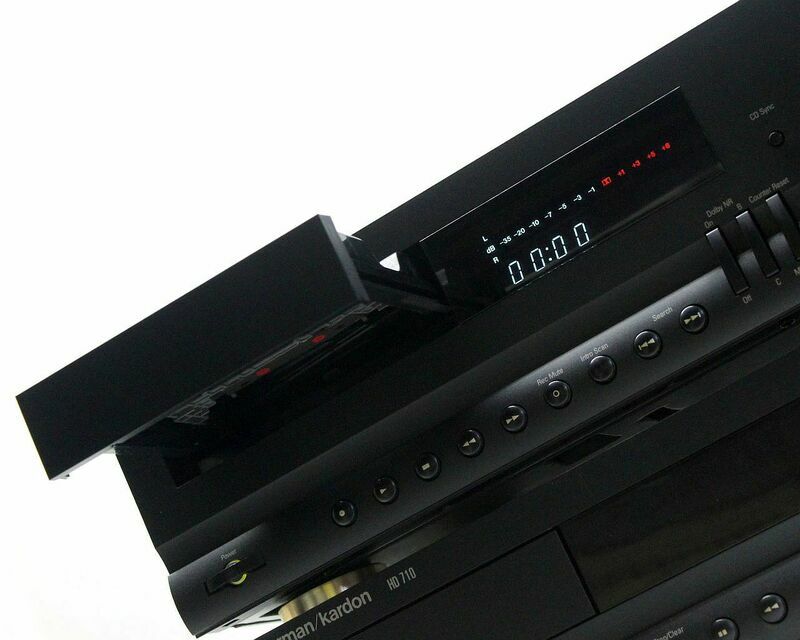 The 3 head configuration allows you to monitor the recorded material in real time. 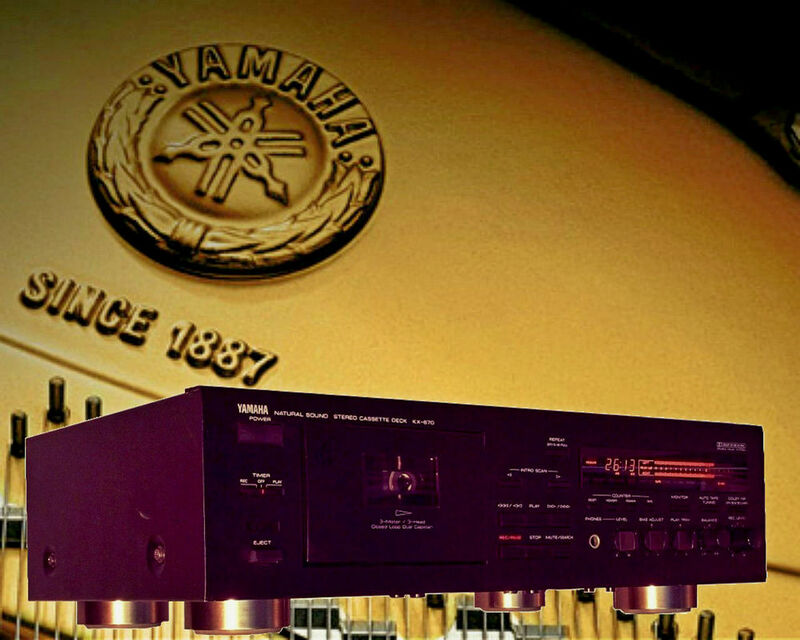 For best recording results the YAMAHA KX-670 has a built-in Auto Tape Selector which automatically adjusts the recording characteristis according to tape formulation and a Dolby HX Pro Dynamic Bias Servo System which automatically controls the effective bias during recording. 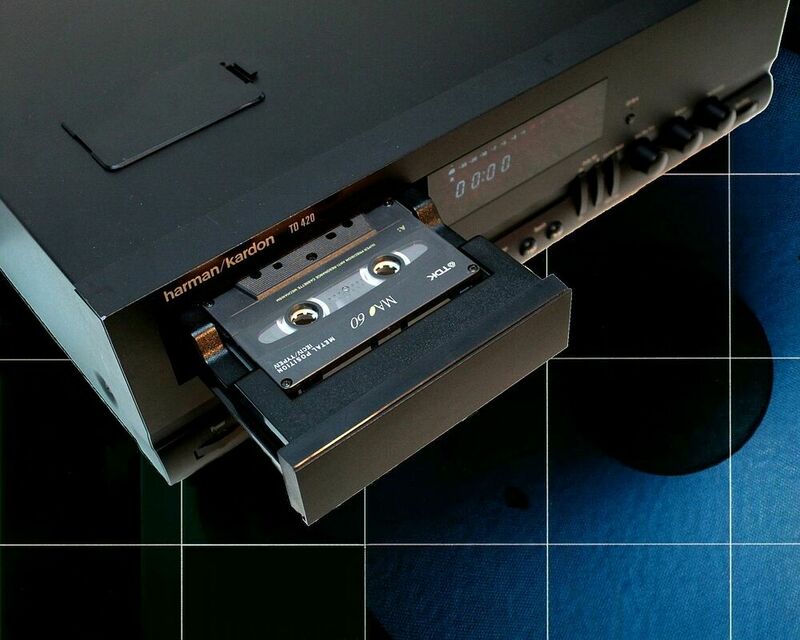 To further improve recording characteristics with any tape you use this deck has a Auto Tape Tuning function that makes critical adjustment of the deck's recording bias and sensitivity. 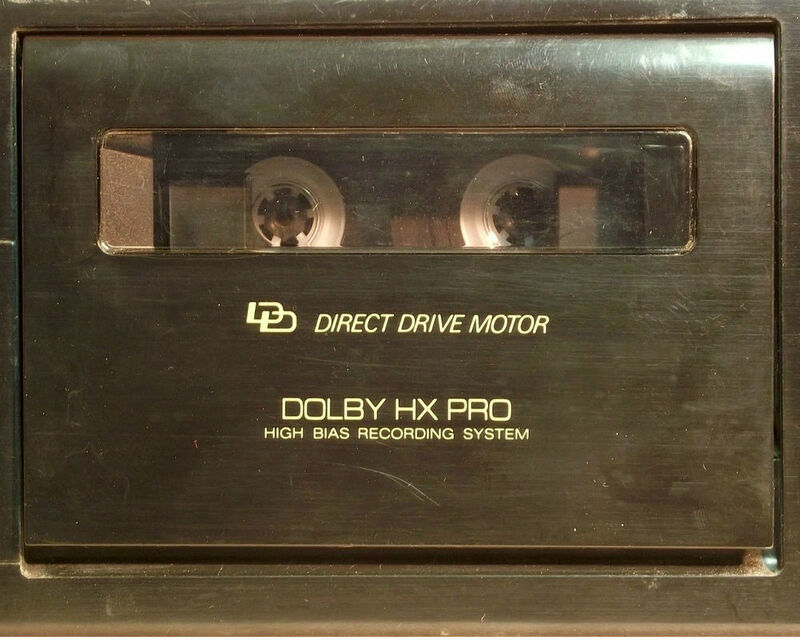 ​With the Auto Tape Tuning function, the recording characteristics (recording bias and sensitivity) are automatically adjusted in three frequency ranges (100 Hz, 3 kHz and 10 kHz) while repeating recording and playback operations several times in about 8 seconds, to accurately match the characteristics of the loaded tape. If further adjustment is needed there is a manual Bias Adjust as well. 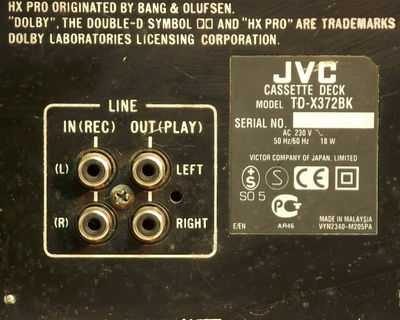 The deck was available in black or Titanium finish while the YAMAHA RS-KX1 remote control transmitter was available as an optional accesory. 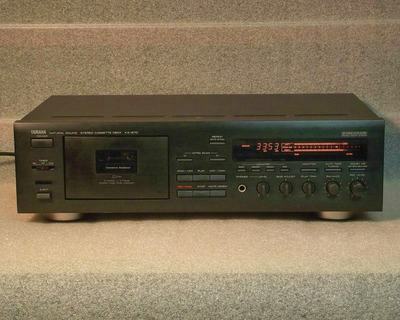 I don't have the optional remote control but the deck works well with a compatible YAMAHA remote control that I have for a amplifier. 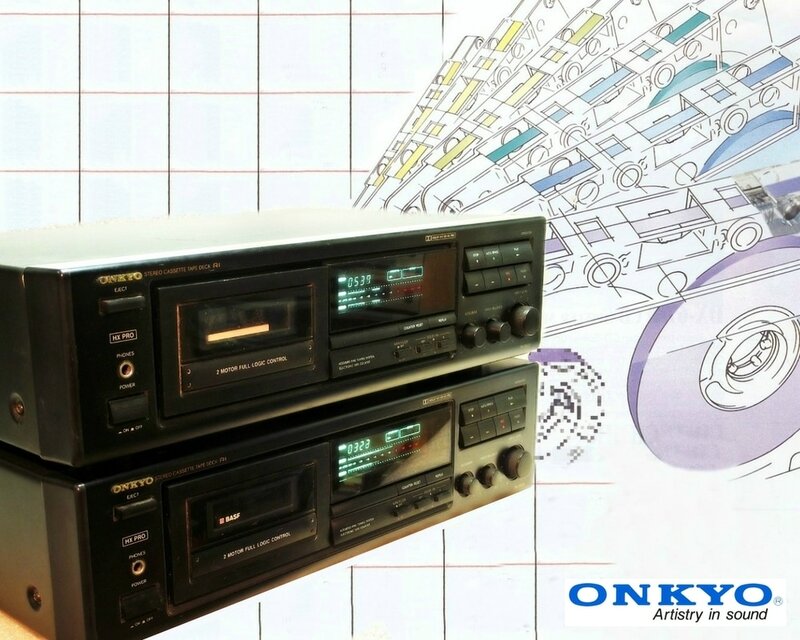 Specifications are very good with a frequency response of 20 - 21,000 Hz +/-3 dB (-20 dB) Metal tape / wow and flutter less than 0.04% / signal-to-noise 60/76 dB (Dolby off / C on). 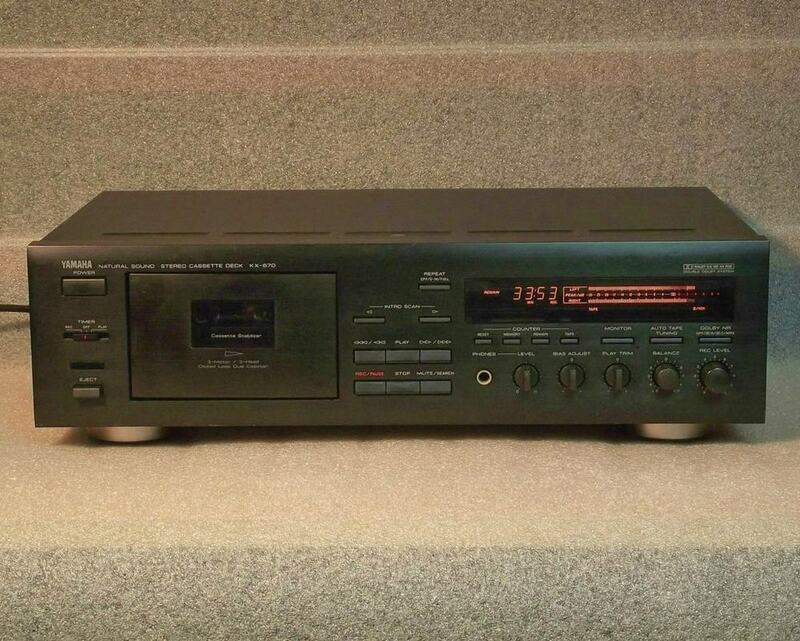 Overall results for this deck are very good, this is a recommended cassette deck for serious recording enthousiasts. 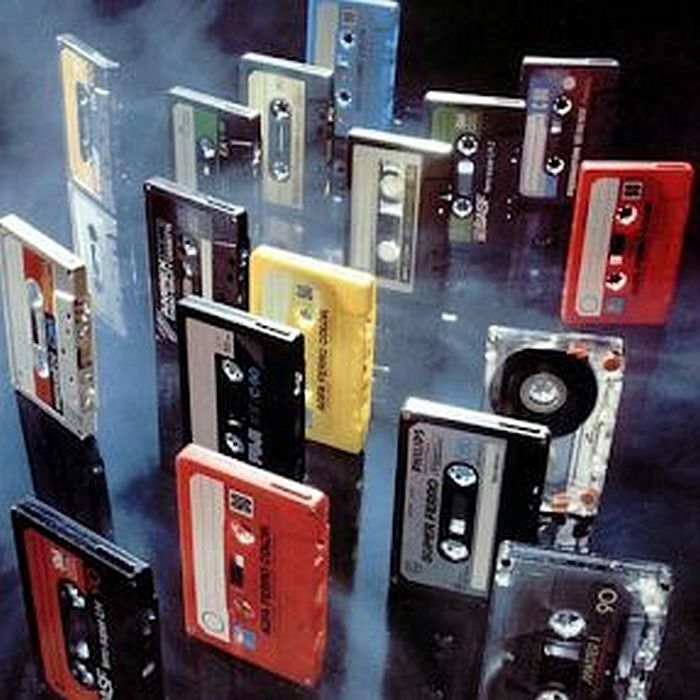 Cover photo art: The Last of the Mohicans - Published December 15th 2017.